Anyone who's kept newts will know that they are better climbers than might be expected. I remember being very impressed watching one on the side of a glass aquarium for the first time many moons ago . 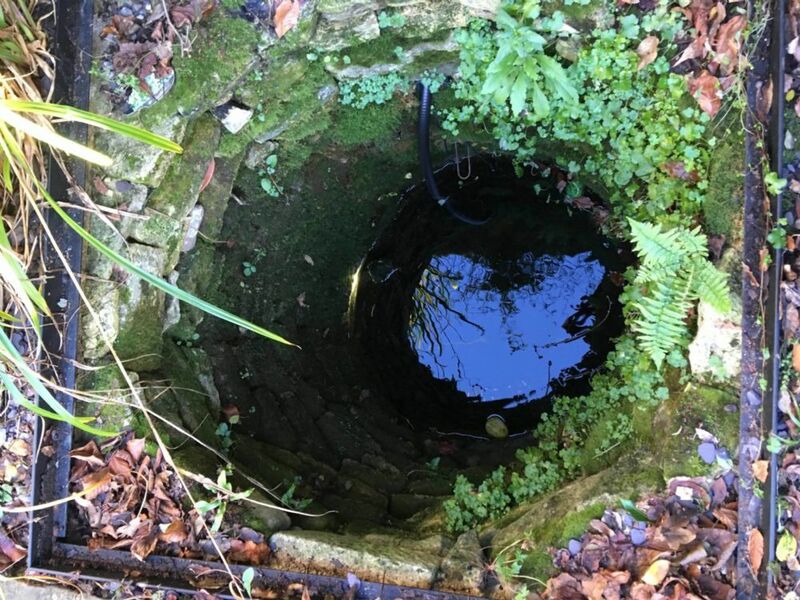 In more recent years i've found Smooth Newts in a metal cattle trough with an overhanging 'lip' around the edge, and my cousin has also reported finding multiple GCN down a stone mine. So anyway, not that unusual (still exciting though!) to find them in less 'regular' places. Here's another example. 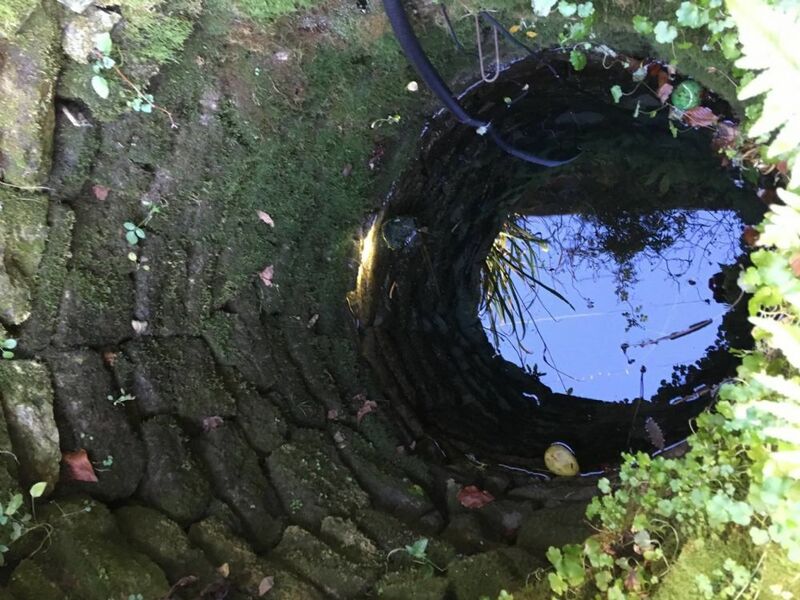 Come breeding season Smooth newts can regularly be observed surfacing for air in this old well in a friend's garden. I wondered whether some of them spend most of their time down there - those cracks between the stones probably provide food as well as shelter and it's a pretty epic climb out (i guess they dive in?). Interesting Ben. I guess they could easily climb down as the rocks are mossy and even if not I think they have amazing grip, as you comment re aquarium side. The temperature is probably fairly constant...COLD! I can't imagine the sun has much effect. If they live in there do they breed and how long do they take to mature? Is there any pond weed. What is the food supply like I wonder. Maybe it's all just like a pond with strange dimensions. We've seen quite a few amphibians down old drains etc. On an old hospital site (buildings gone but some underground drains remained) we rescued quite few as they seemed to have fallen in and were quite skinny looking. Pulled out several slow-worms too! Think depending on conditions such as food availability they could make wonderful havens, on other occasions be a bit like pit-fall traps. Another one that comes to mind is some open concrete drains on a large industrial site, teeming with smooth newts. 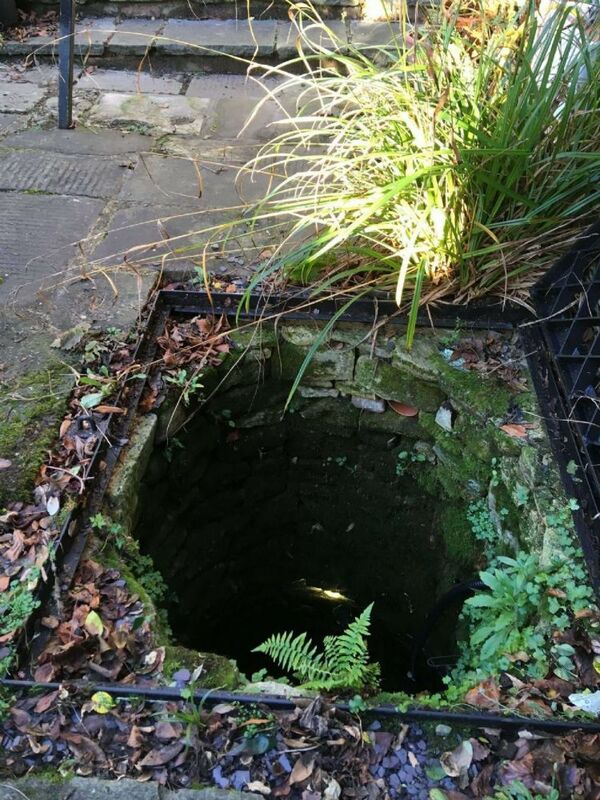 One can only assume they were able to get in and out when they liked as they all seemed healthy, despite the drains having vertical concrete sides.